We are devoted to helping you make the long-term sustainable changes that will help you to create the health and life that you desire. Enjoy these customized personal chef and cooking instruction services that will motivate, inspire and help you to master your health. Discuss new diet, goals, food preferences, etc. via a Skype meeting or phone call. Access a general shopping list for your dietary plan. Enjoy email support for the weeks we are working together during the creation and implementation of a tailored meal plan. Meet in your kitchen to discuss your diet requirements, your goals, and your food preferences. Remedy your pantry and kitchen space to support what is needed to revise your approach to food and cooking. Receive a 7-day custom meal plan based on your unique needs. Savor a personal chef for 4 dishes per week (from your meal plan): includes shopping for needed groceries* and preparation of the dishes in your home, leaving your kitchen sparkling clean! 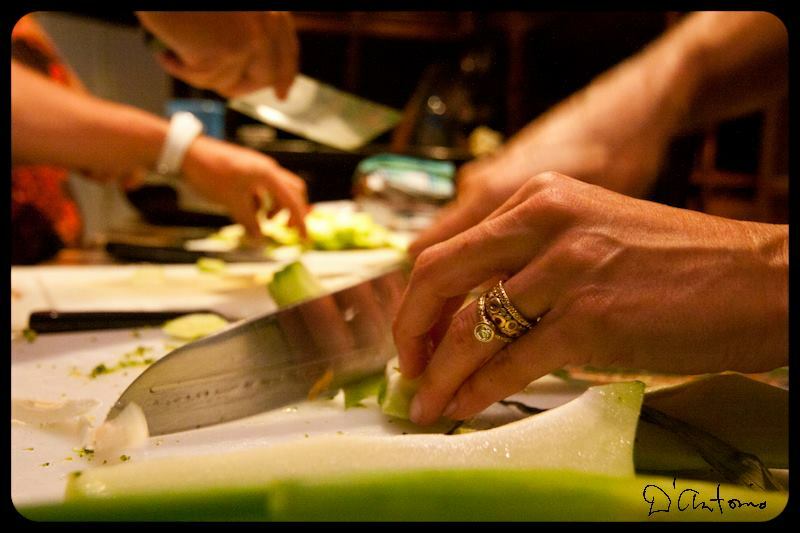 Schedule an in-home 2 hour personal cooking class: teaching specific cooking techniques beneficial for your unique diet (including knife skills, methods and intuitive cooking) to help you break free from recipes, build confidence and so much more. *Groceries will be paid for by client. You will receive a shopping list to prior to cooking so there are no redundancies purchased. Ani Okun moved to Boulder in 1999 to attend CU, where she graduated with a BA in Fine Art. She fell in love with her now husband and the beautiful mountains and decided to make Colorado home. When her daughter was diagnosed with allergies as a toddler, Ani’s interest in healthy living became more culinary focused. Removing many of the top allergens seemed overwhelming at first, but cooking creatively and intuitively rather than sticking to recipes brought interest and fun back into the kitchen. Ani found that her favorite creative outlet became experimenting with fresh, whole foods. After selling her Boulder-based business, she decided to make cooking her career. Ani studied at the School of Natural Cookery, a plant-based culinary school. She graduated with a Personal Chef Certificate with honors. She now specializes in Personal Cheffing for people interested in upgrading their diets for a healthier, more vibrant life. She also enjoys teaching specialized culinary techniques one-on-one with her clients. When she’s not cooking, her favorite things to do include yoga, gardening, hiking with her dog, and camping with her husband and daughter.